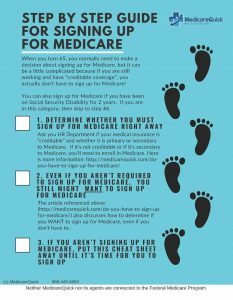 One of the things that we advise our clients to do is the Medicare Screenings and Welcome to Medicare Preventative Visit. You are eligible for this visit only once: within the first 12 months that you have your Medicare Part B insurance. The visit will include a review of your history, including Medical and and also any Social History that could be health related. It also includes Education about preventative services, including screenings, shots, and referrals to specialists and other care. This will include a written plan that shows which screenings, shots, and other care that you need. Additionally it will include measurements such as your blood pressure, weight, and height, along with the calculation of your BMI (body mass index), and a simple vision test. Your Welcome to Medicare visit will also include a review of your potential depression risk, and they will offer to discuss the creation of Advance Directives with you. The Welcome to Medicare visit is a one time only visit, and is different than your Yearly Wellness Visit. You should also take advantage of your Yearly Wellness visit if you have Part B Medicare Insurance. This visit is to develop or update your personal plan to help prevent disease and disability based on your risks. It’s easy. All you have to do is fill out a questionnaire (Health Risk Assessment) which asks questions about your medical and family history. Your doctor will also get a list of your current medications and other care providers and will take routing measurements such as your height, weight, and blood pressure. They will also screen for any detectible cognitive impairment. From the information obtained you will be given personalized list of risk factors, along with treatment options and a schedule of appropriate preventative services. The wellness visit is covered once per year, and all people with Part B are eligible. For more information or to get your questions answered by a live representative, call us at 866-445-6683 or complete our contact form.